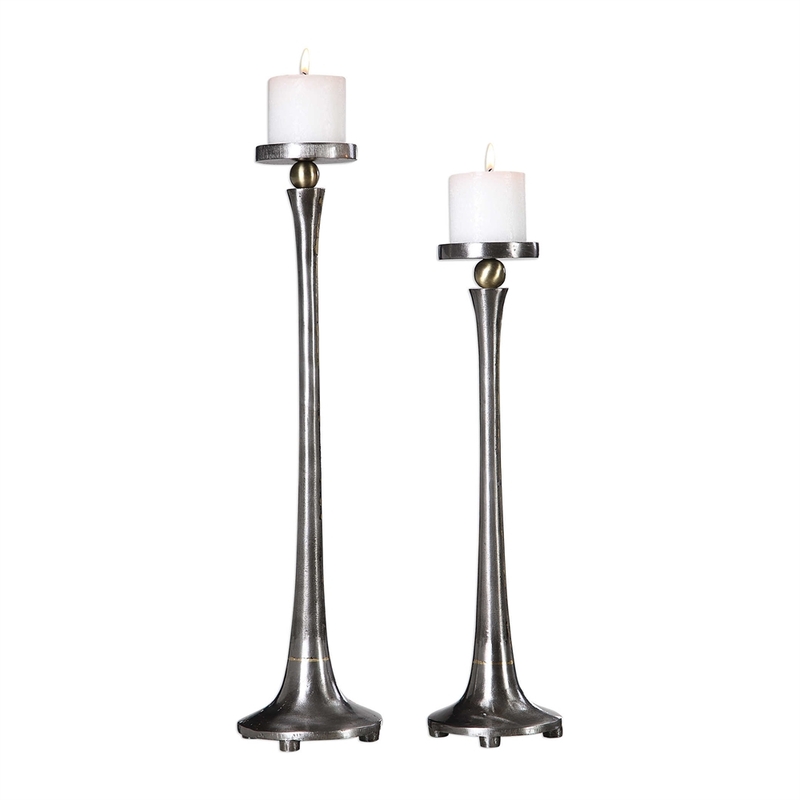 This set of two candle holders features a sleek tapered design in solid cast iron with a subtle porous texture, sealed to preserve the natural finish and accented with gold infused highlights. Includes two, 3″x 3″ distressed off-white candles. 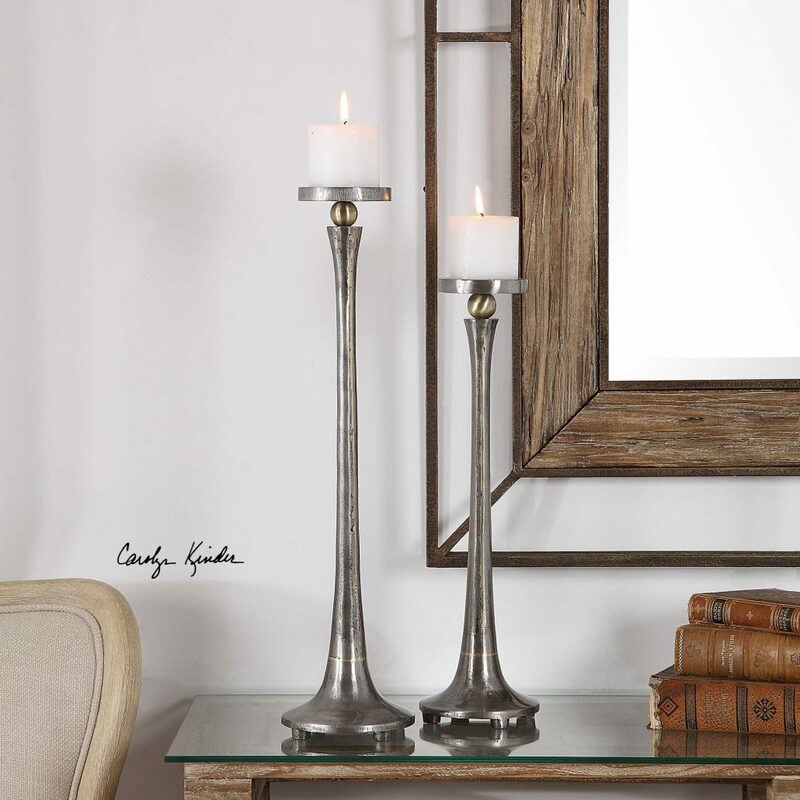 Designed by Carolyn Kinder International, the Aliso Candle Holders pair well with Aliso Lamp. Available to trade professionals at Uttermost.com. For retail purchase Google keywords “Carolyn Kinder Aliso Candleholders”.